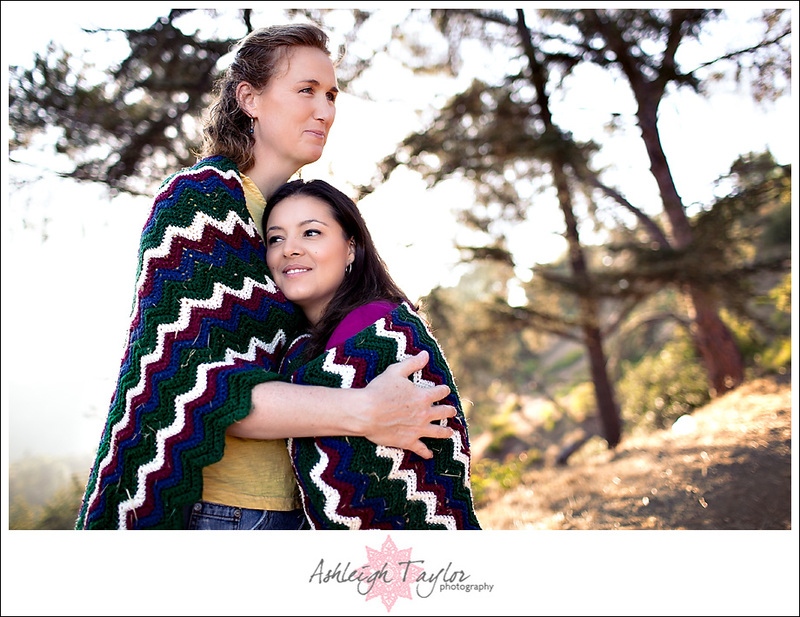 Last Sunday, I had a blast with Becky + Bernadette for their Griffith Observatory Engagement session! We had so much fun and I am so excited that their wedding is just about 2 weeks away!!! It’s going to be fabulous, especially because my beloved Paola is coordinating! Becky and Bernadette are so cute and sweet together! 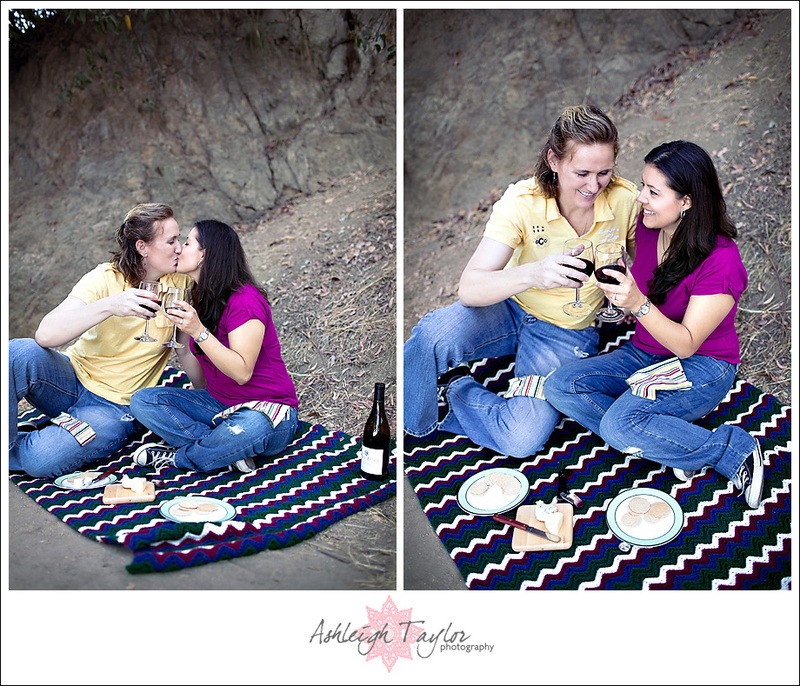 I loved that they brought a picnic set up, and that’s how we started the session! A picnic in the hills surrounding the Griffith Observatory. Like pros, these two had a wine cooler carrying case, and a little gourmet picnic set, complete with a cheese block and cheese knife for gourmet cheese consumption! YUM! We set the area up and I was able to capture these two just how they really are together. Just laughing with each other, talking and dreaming out loud. After good wine & cheese was had, we then walked around the hiking trails for a few more casual pictures! In these moments I got to see how perfect Becky & Bernadette’s love is. How they help each other, how they laugh, how they help bring out the best in each other. It was such a joy to document. Love is truly everything. Gah!!! I love this photo!! So SWOONY! Seriously, Bernadette & Becky? You two are TOO ADORABLE FOR WORDS! I love this next photo. When I see it, I see two people in love who can conquer the world together! After we finished are hiking/picnicking goodness, Becky & Bernadette changed into some fab outfits for some dressier pictures at the Observatory Building! I just LOVE the colors they chose to wear! They looked lovely and they really popped against the white walls of the Observatory building! Becky and Bernadette, you both are GORGEOUS!!!!! Sunset romance! Love how vibrant it is!!! Ahhhh you two are just STUNNING! !